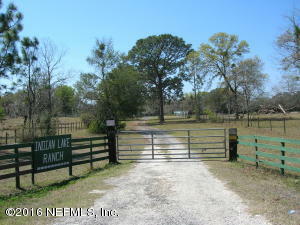 Copyright 2005 Northeast Florida Multiple Listing Service, Inc. All Rights Reserved. Information Deemed Reliable But Not Guaranteed. The broker providing this data believes them to be correct. Interested parties should verify all information and confirm it prior to use in a purchase or lease decision. No warranties, expressed or implied, are provided for the data herein, or for their use or interpretation by the user. The data relating to real estate for sale on this web site comes in part from the Internet Data Exchange (IDX) program of the Northeast Florida Multiple Listing Service, Inc. Real estate listings held by brokerage firms other than this real estate firm are marked with the listing broker's name and detailed information about such listings. This firm does not create, review, alter, or control the data and takes no responsibility for the content. The information being provided is for the personal, non-commercial use of the customers and/or clients of this firm and may not be used for any other purpose than to identify prospective properties of interest. All other use is strictly prohibited and may violate relevant federal and state laws.